Fall Pancake Breakfast at EC Montreal! 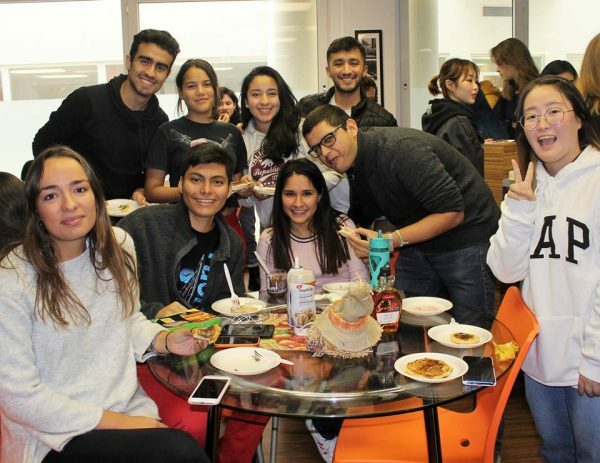 We are celebrating fall season at EC English School Montreal and the perfect way to celebrate is with food! 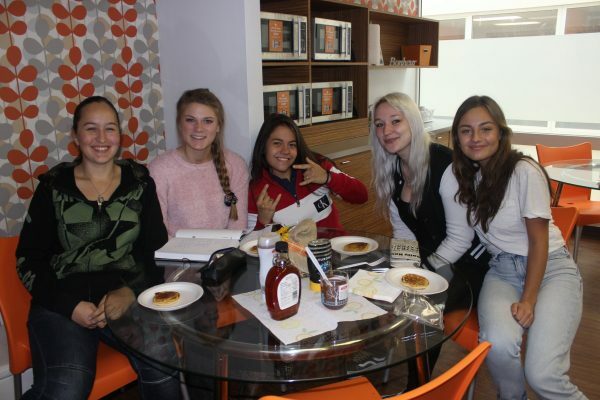 As it is pumpkin season we held our annual pumpkin pancake breakfast! The students simply had to follow the delicious aromas drifting in the air from the pancake griddle. The students lined up to get a taste of the pancakes! Most came back for seconds! We added pumpkin spice and cinnamon to the batter for even more deliciousness! Every table had toppings of maple syrup, nutella, whipped cream and caramel. Everybody was smiling from ear to ear! We love giving our students these opportunities to interact with one another and to make friends. It warms our hearts to overhear them saying “I love Wednesdays at EC”. Every Wednesday we treat our students to a taste of Montreal, a team-building activity or a sports event! Life is sweet in Montreal!